Social network marketing has evolved in recent years and is said to be a highly influential marketing tool for generating awareness via powerful SMO strategy. With Josoft Technologies, you can generate higher website traffic, more users, and enhanced online visibility with compelling SEO services. SMO is one of the most significant features of online marketing, and Josoft Technologies will design a campaign that is effective and relevant to the brand needs and industry. Social Media is powerful tool to promote events, products, and services of a brand by engaging the target audiences through all the popular social media networks like LinkedIn, Facebook, Twitter, Google+ and more. The power of social media is no longer limited to a casual networking process. In recent times, it has become an integral part of any and every business's online marketing strategy. So, making a stronghold on various social platforms and aggressively promoting it to attract better consumer engagement to get the desired business results is the need of the hour! 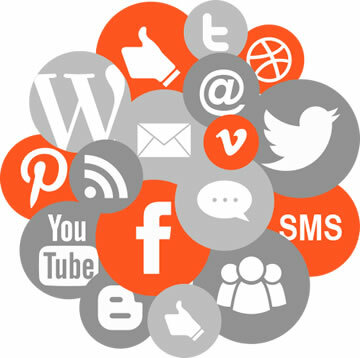 There are some direct and indirect benefits of optimizing the social media environment. The direct benefit is that, your social media profile where people view, visit and connect with you and your website is easily available. The indirect benefit is the availability of extra links on your social media profile that redirect users directly to your website. As a SMO Company in India, we understand the need of power and effectiveness of Social Media in every sphere of our lives. In today's scenario, people spend most of their time on Social Media, therefore your mere presence will not help you win them as potential consumers, you can gain them only with optimization of social media by using any social media services.